★ Fully configurable - Admin can configure fields such as header background color,font color, text to be displayed, height,width,tabs color etc. ★ Admin can enable/disable Facebook/Twitter Messaging. Now you can add facebook shopbot feature to your store which will provide a new shopping experience to your customers. As like artificial intelligence this technology gives complete information of the product to the customer. This will help customers to customers to find complete details of the product in an easy way. Customers can generate facebook chat over browser or messenger and see most popular product list. Customers can ask for the available options and check it variable like color, size, etc. It also provide information about Site articles. How to check this extension? Now in the chat window search for "Webkul Joomla " and select the option or on Webkul Joomla Page click "Send Message" button. VirtueMart Advance Report : VirtueMart Advance Report generate report on the basis of category, orders , status direct. VirtueMart Advance Report for VirtueMart is the newest of our extremely popular VirtueMart Advance Report component. Create detailed reports for many aspects of your store. Category report – sales data by categories and top-selling categories. 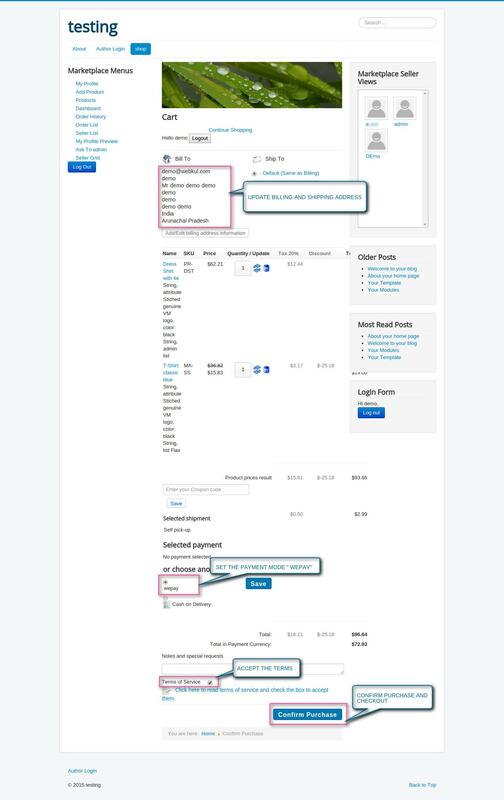 Order Status report – sales data by order status and top selling products. Country and State report – sales data by countries and states in tabular and chart form. A separate report for taxes is provided in tabular and chart forms. Annotate option – Admin/seller can add notes, draw on charts and can add provided icons on the chart and can save or print the same. Useful in case of presentation or record keeping for future. Joomla Virtuemart Wepay Payment Gateway: Scared about malicious activities and fraud then here comes the Joomla Virtuemart Wepay Payment Gateway to ensure safe and secure way to collect payments online. We understand the three parties (merchants, platform and payers) transactions have their own specific needs, so we have designed as per your needs. Explore it below and find the flexibility of the platform. 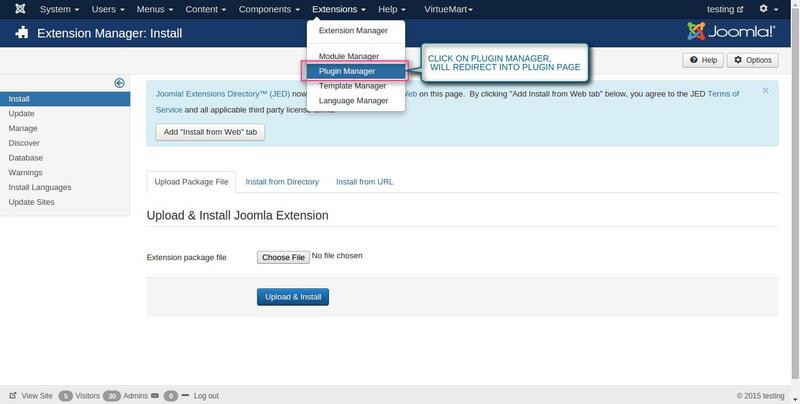 Download Procedure: After downloading the Joomla Virtuemart Payment Gateway you’ll get one zip file(plg_wepaypayment_j3.x) unzip and use it. 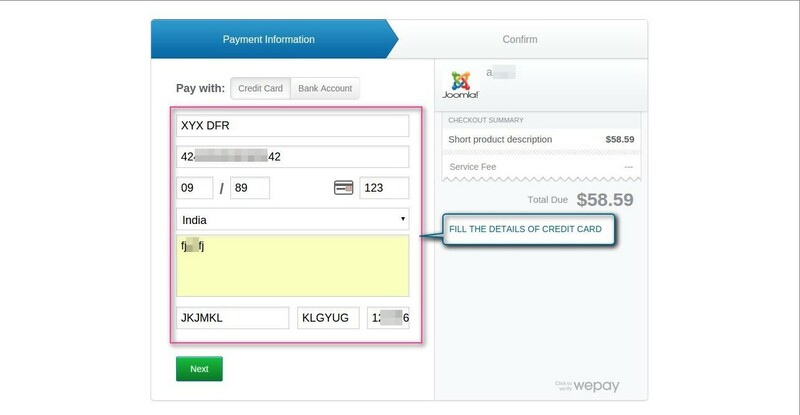 After unzip you will get the (wepaypayment.pdf ) file, read it carefully and follow it . ★ Facilitating transactions between merchant and payers on the websites . ★ Accepts major credit/debit cards and bank payment options . ★ Functionality of capturing and refunding transactions are available . ★ Check and utilize both Test and Live modes on payment gateway . ★ Each transaction will receive a confirmation mail and a receipt after payment . ★ Option of full or partial refund from admin end . ★ Purchasers whether or not registered with wepay, their use of service is governed by the terms of agreement . How to Use: This module is really very handy to use you just need to care about the things. • The plugin is (wepaypayment) installed. Plugin wepaypayment should be enabled first. 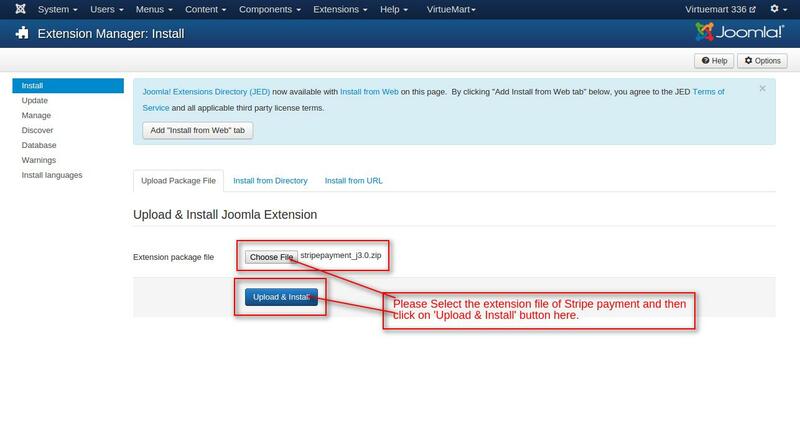 Stripe Payment Gateway for Virtuemart : This Plugin work with checkout for payment in Joomla Virtuemart. It will work live as well as Debugging mode. Stripe payment gateway handles everything, including storing cards, direct payouts to your bank account. 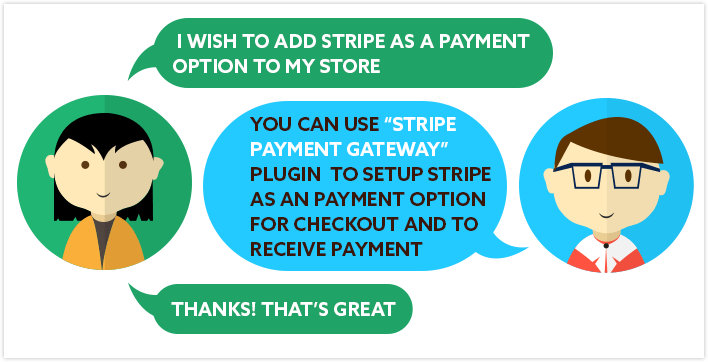 No doubt stripe is most easy and most scalable payment gateway of the modern time. ★ Auto card type detection when the user enter the card number on cart. ★ Card Number is shown in quad for four when entered. ★ A new feature has been added for Admin by which admin can select an option to send an email receipt from Stripe if admin wants to do so. ★ Admin has provided an option to select card types like Visa,maestro,JCB etc from which he want payment to be done. ★ Stripe 3D Secure payments feature is added. ★ Admin has option to Allow/Disallow the Non-secure Cards from payments. The plugin is (stripepayment) installed. Plugin stripepayment should be enabled. Accordion Article Module :This is the best related article Module In Joomla.This Awesome Accordion Article module display selected category related articles on Joomla .You can display one article or many articles in a list by using this module. 2 - Compatible with all the latest web browsers Firefox, Chrome and Internet Explorer- 8, 9, 10 . 3 - Its very easy to configure and handy to use . 4 - user can change background color and font color. 5 - You can set number of articles for showing related category. 6 - Automatic loading . 7 - user can set width of the module. 8 - user can set character limit of article.